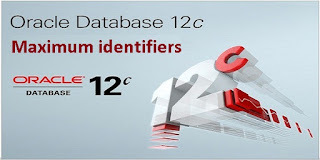 Oracle database 12c Release 2 (12.2) increases the maximum size of most identifiers from 30 to 128 bytes, which makes migration possible from other database engines such as SQL Server or MySQL. At some point every DBA or developer will have hit a point where the 30 character limit for object names has caused a problem. This limit can be extremely painful when doing migration projects from SQL Server or MySQL to Oracle. In Oracle Database 12c R2, the maximum length of most identifiers is now 128 characters. If you are in a situation where you are supporting multiple versions of the database, you will need to avoid using long identifier names, or you will prevent backwards compatibility.